Stunning painting Jennifer! I love your color choices! so unexpected and powerful! congratulations on your sale! Terrific Painting. Congratulations on your sale. 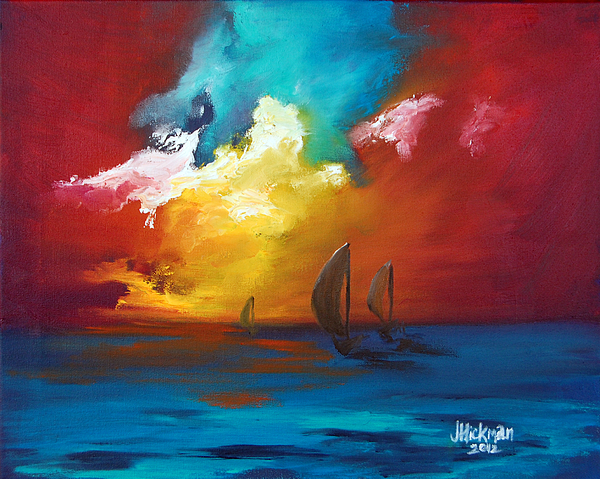 This painting depicts the beauty of creation, the thrill of adventure, and the bliss of being out at sea. The bright colors of the sunset seem to draw the sailors towards the horizon.